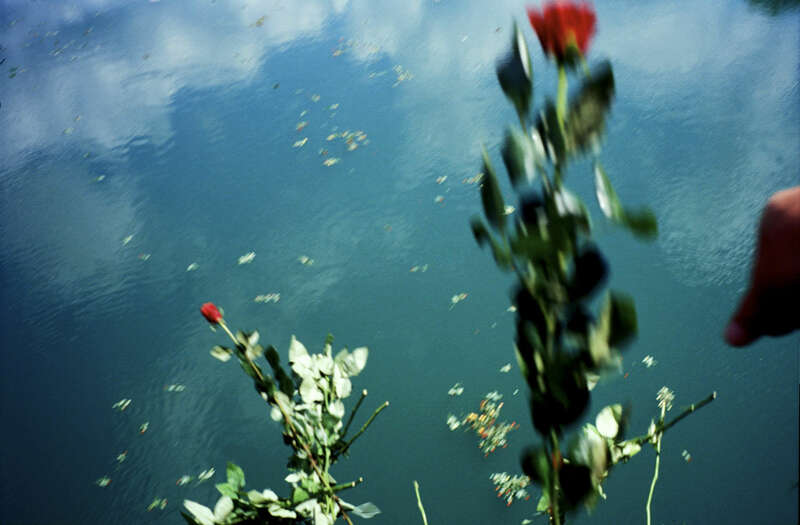 Hundreds of red roses and carnations thrown in to the Drina river during ceremonies in memory of the approximately 2,000 Muslim men and boys who were killed by Serbs in the town of Visegrad, which had a Muslim majority before the war. The ceremony, held on the bridge made famous by Ivo Andric in his Nobel Prize-winning novel, \"Bridge on the River Drina,\" was attended by scores of Muslims, former residents of Visegrad who were bused in for the ceremony. Few Muslims have returned to their homes in what is now a hardline Serb community.